Technology, Financials, Energy and Healthcare have led the US Stock market so far in 2018. Based on history, this is a good sign. Technology and Financials specifically are known as “offensive” sectors of the market and signal the market is in a growth phase. 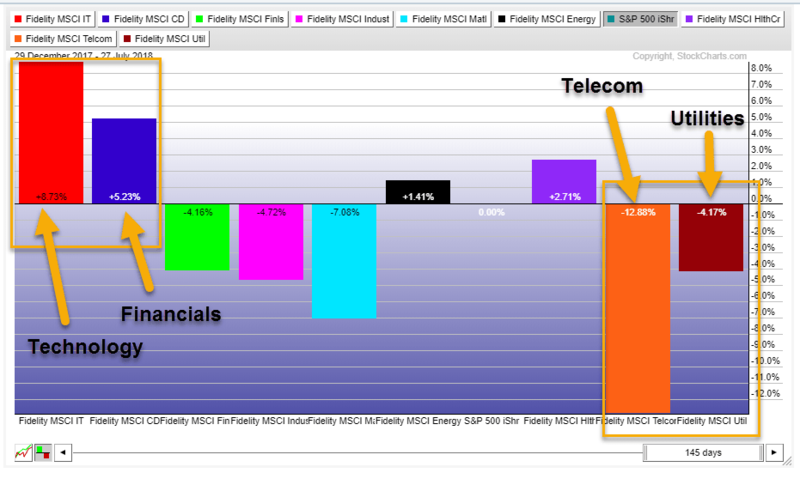 It’s also important to note two of the poor performers, telecom and utilities, are historically seen as “defensive” sectors. 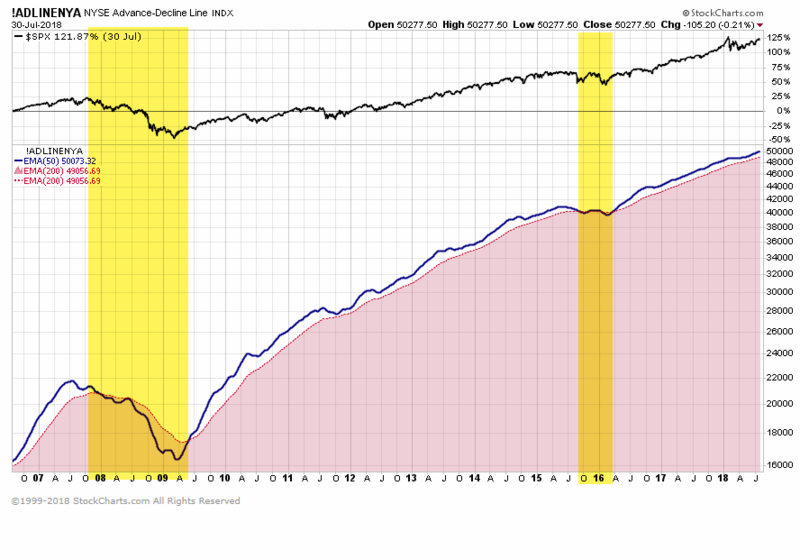 This data continues to support the bullish thesis for the US stock market. I’m betting at least one of those headlines triggered an emotional response from you (either good or bad), right? That’s what a good writer needs to do in order to get your attention. They need to cause an emotional response to gain your attention. With this said, you shouldn’t invest with emotion. For all investors it is important to keep emotions in check when making financial decisions. This will always be a reality for investors regardless of what daily news headlines might say. In order to filter our noise and help keep from letting our emotions take over we must find tools to keep us focused on what is important. One of the factors that I believe is critical to understanding the health of the stock market is what I call “Market Participation”. In simple terms, market participation is the number of stocks going up in price vs. the number of stocks going down in price. A healthy stock market will have more winners than losers. When the losers take control it is time to closely monitor your holdings. One of the most popular ways to measure market participation is through the use of the New York Stock Exchange (NYSE) Advance-Decline Index. This measures the number of stocks on the exchange going higher versus lower. I apply my own filters to smooth out the data and provide signals for evaluating the state of the market. In this chart, you can see how market participation rates provided warning signs back in 2008 and again in 2015. While the slowdown in 2015 did not turn to recession, it certainly was a weak period in the stock market. Today, the advancing stocks are leading the market higher. As a result, this indicator continues to support the current bull market. Currently, this indicator and many others that we use lead us to believe it is best for investors to worry less and enjoy the market’s recent march higher. As we always say, when the market facts change, so shall we! For now, the facts are firmly in the bullish camp. If you would like to discuss your investments or other financial topics, we can be reached at 800-722-5862. We look forward to speaking with you soon.